Sharp traders are always after better commission (and opportunities). BUT, will SMARKETS do it soon? Hopefully. I’ve got some tasty gossip for you, along with a full smarkets review. Be sure to absorb the lot! 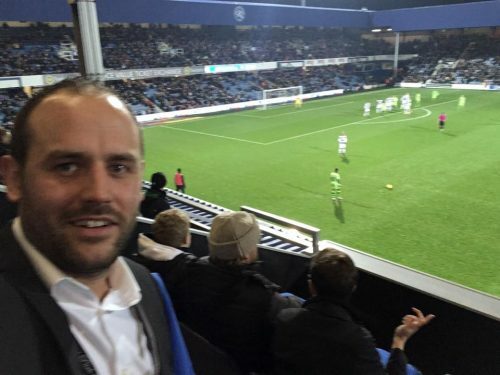 Long-term readers may remember smarkets invited me up to their box at QPR a while back. To be honest, at the time I wasn’t sure why. It’s rare that I turn down an opportunity for a beer though, so didn’t seen any harm in it. Sorry if you’re a QPR fan but that part was lost on me, I don’t devote a lot of attention to football right now. Anyway, aside from the hospitality and meeting some of the team, the message was clear; smarkets want trading customers. They told me they were planning a public API (for trading use). 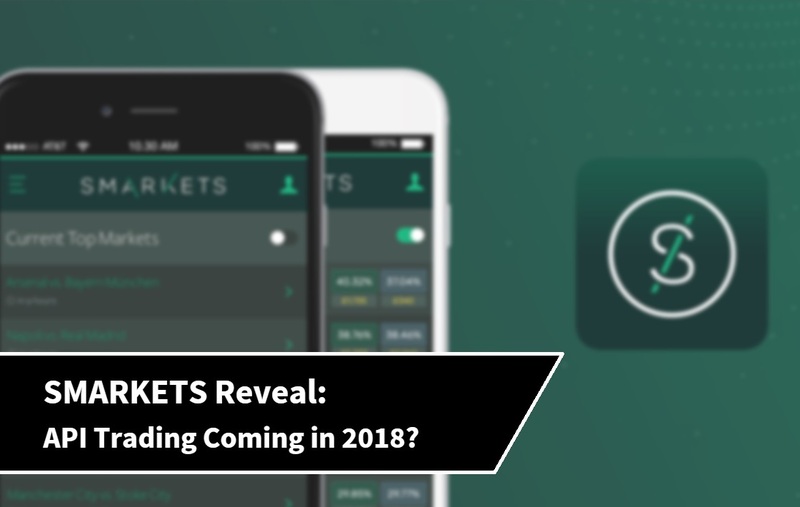 SMARKETS Trading: API Release Date? Since my brief encounter mentioned above, there’s more! I can now confirm for you that, smarkets plan to launch an API for public use. I can’t pin them down on an exact date, although they told me the ‘current estimate’ was 6 months (mid 2018). Not that long, especially when you consider they told me this last month! So, what does that mean for us as traders? For a start it means Betfair are likely to have a little more competition for the flat racing season, possibly even Cheltenham? Maybe. But there’s so much more to consider, hence the rest of this article. More opportunities? Less commission? No premium charge? or will it mean diluted liquidity elsewhere? Either way, it’s probably worth getting set up to find out. The initial response is to be a little pessimistic, Betfair haven’t been turned over after all this time and still hold the lion-share when it comes to betting exchanges. However, in recent years they seem to be opting more and more towards a sports-book model. Could this possibly be the time when all those ‘unloved’ customers jump ship? I guess only time will tell but there’s a pretty big incentive to use other exchanges with reduced commission rates. Just this week they’ve added streaming charts the site, shown below. Previously, the green exchange has been more appealing to those who are arbitrage betting. A significantly lower flat rate commission of 2% is ideal. Smarkets commission rate is calculated the same way as Betfair. In the sense that, net winnings are charged a flat fee of 2% (instead of 5%). 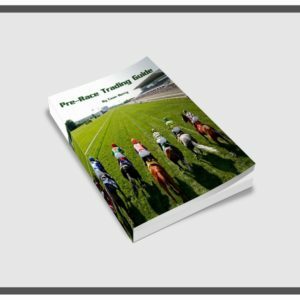 Regardless of your betting style, back, lay or trade the 2% is taken from profit. With the net winnings being £100 it’s easy to see the overall commission. For those trading, the 2% just comes out of your overall hedged figure. For example, a £10 profit would be charged 20p commission. Simple, right? For traders, this could be pretty awesome news. Especially when you consider there is no premium charge (Betfair’s super-tax on winners). If you’re still unsure, you can check out the commission and terms on smarkets site. Seen above, one of those lower grade, bread and butter races at Lingfield. The ones you see on a daily basis. If you look to the top left, ten minutes from the start there is £27,077 matched. Not a massive amount but shortly after taking the snapshot, money started to flow. The unmatched amounts could do with increasing a little more if smarkets trading is to become a thing of the future. That’s not to say that smarkets wouldn’t be of use around events like Cheltenham and Ascot. With proper trading tools and a public API it may turn out similar to Betdaq in the sense that the bigger meetings aren’t so hard to skim some tidy profits, at reduced commission rates. On the whole, liquidity is one concern if I was to plough all my time and effort into using them. Something to keep an eye on. SMARKETS v Betfair: Best Option? To make this the fairest possible comparison it’s only fair to say that Betfair’s exchange takes a lot more strain than that of smarkets. Although, Betfair does have far more cash to play with. Sad to see Betfair haven’t reinvested more into the exchange in recent years. 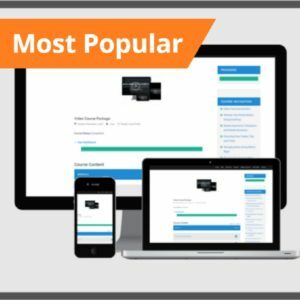 Site outages, when managing large positions can be a scary experience. Whilst I haven’t really used smarkets, I haven’t seen any complaints of random outages. As far as the two sites go, they’re quite similar. To us as traders it doesn’t matter so much, but it’s nice to see smarkets hasn’t jumped on the sports-book and casino bandwagon yet! Over the last few years the gaming and casino products on Betfair have taken the exchange out of the limelight in my opinion. Other than the 2% commission, there’s a small sign up offer for anyone that’s interested. It seems to be the standard practice these days, the difference being with smarkets, like any other exchange, they’re not going to close you down or refuse the offer for betting at value. At the time of writing you can get a £10 free bonus here. I’m sure I don’t have to explain to users how to turn it into a few quid, risk free (matched bet it basically). Freebie aside, the main allure of smarkets for me will be the API release in 2018. Is SMARKETS Safe to Use? I want to make this smarkets review as balanced as possible. So I think it’s only fair to address the possible security issues around the green exchange. Not in the sense of losing your data, or account protection. On that level, smarkets is safe to use. I’m talking more about the fund protection policy you will be notified about when signing up to smarkets. When you sign up to smarkets there is a notification to say they only provide a basic level of fund protection. This probably doesn’t bother many customers, although it’s worth mentioning. Traders typically hold larger amounts of money in their accounts, it wouldn’t be advisable to deposit more than you need to trade. Personally I’ve only ever have about £5-£10k in an account (excluding Cheltenham and the like). A chunk to lose, but not so much it’d keep me awake at night. Just be weary when depositing, there’s no point keeping a bank you cannot afford to lose! I’m optimistic about this move by smarkets. If they manage to pull it off on a larger scale will only come clear in time. Either way I’ll be following this pretty closely, particularly when the public API becomes available to all. Hopefully this smarkets review will alert a few into preparation as well. When there is change, it’s usually followed by opportunity, even if it’s for a limited period of time. Early Betfair users (before me) often refer to the ‘golden days’ when you could ‘make money standing on your head’. I missed that boat, and doubt there will ever be opportunity quite like that again, although if it’s remotely close I’ll want to be there waiting. Failing to prepare is preparing to fail and all that. At this point, my two main concerns would be liquidity and security of funds. The latter can be controlled by me to some degree, trading liquidity is the big one! 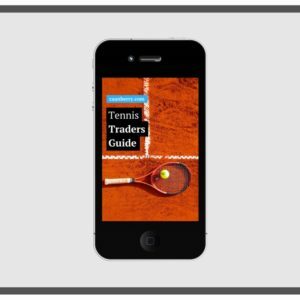 It’s been a while since this review started and unfortunately there are still no trading tools yet…. Fingers crossed still on those trading tools! Caan thought smarkets was part of betfair? I wonder in which countries will Smarkets be available in, just UK or global? The more countries the more will add to liquidity surely. Not too sure, Graham. Best off checking their T & C’s. I’ve been match betting with smarkets for about 1.5 years customer service is excellent, liquidity can be a problem but usually get better matches than betfair even without the lower commission. Depositing and withdrawing never been a problem. I’m new to trading but the 20% charge at 5k is putting me off betfair already, if I ever reach the 60% marker I’m sure Id be proper pxxsed. Sure, the 20% isn’t all that bad but it would be a breath of fresh air if smarkets could provide an alternative without the charge at all! Thanks for letting me know about smarkets. I have opened an account and will keep my eye on the liquidity, hopefully, it will increase now. We Just need a Geeks Toy implementation Caan. Sure I agree! Hopefully we’ll see something like that soon 😉 they certainly need some good trading tools over at smarkets. Very fair comment, Darren. Still at least it’s something on the horizon to keep an eye on. At the very least, some proper competition could be the thing that changes current things like the PC. Just started to look at football on it Darren for curiosity; 12 years of Betfair has given me square eyeballs.. Not convinced on draw spread nor exit logistics on smarkets. Noted Dino. Still I like to be optimistic and give them a chance… you have to remember when a new entity is evolving like this there is other opportunities. I missed the boat but in the early 00’s I was told it was far far easier to pull huge numbers from BF as the competition in the markets was less. Who knows, I guess we’ll see. I switched to them a number of weeks back and they have been great as Im sick of Betfair and their charges. Yes, liquidity isnt as good as Betfair on the UK/IRE horse racing but with more people moving from the dark side, then this will improve in time. I just wish they would introduce the equivalent of BSP pricing and I would be very happy indeed. I would highly recommend giving them a go….. Cheers, Floyd. I think if it becomes a Betfair v smarkets type situation the additional commission charges could be the thing to tip the scales… I guess we’ll find out over the next year or so if they’re to be a serious contender. Some truth to that Steve, pretty pessimistic though. If they can attract the average punters then it would make a substantial difference. This is really good positive news for new aspiring traders such as myself. I planned on getting out before hitting 250K with them, which would not take too long to hit with decent returns of say £500 a day. This is basically achieved by winning just £25 on 20 races a day, so we would hit the 250K within 500 days or approx 16.5 months!!. As Caan said in one of his posts “This is killing the dream for most traders” myself included in the near future. So I hope folks begin to see sense & jump ship with Betfair, to avoid being what is effectively ‘fleeced’ by them. So regarding Smarkets… bring it on I say!… & give us fellow traders a fair chance to make some real gains without being forced into paying extortionate fees in the near future! 🙂 . Sure, the PC levels need challenging. Not sure at this stage, something to look in to as and when it gets pumped out there though! Smarkets have been saying they’re going to set up an API for years now, I’ll believe it when I see it. I remember as far back as 2011 and their rep said on the geeks forum it was due out soon 🙂 Hard to imagine their market makers will want to allow other people along to the private party and their MM’s have plenty of clout at smarkets from what I’ve heard. Thanks Dave, got a link to where they said that ? Seems like there’s quite a few people who are keen to see a smarkets v Betfair matchup! haha. My initial thought was they won’t be able to do this, but having googled about a bit, they’re certainly improving business. Bragazzi’s ideal exchange; – Liquid, decent match view (velocity), ABILITY TO IMPORT A TRADE PLAN FROM FLASHSCORES/other apps into it, Fair commission structure, Decent CS (listening to traders), designated trading platform, trading mastermind group – where’s my, yours and others knowledge going to go otherwise… Thanks Caan. From my observations over the past 12 years there appears to be pattern recurrence in football that would lead me to believe there is a science behind it. Thanks for letting me share my thoughts on your great blog. I’ll leave it there . AS a former poker pro I used to be a former supernova elite which is the highest level there was on pokerstars which is the biggest pokersite and they are very similar to betfair , they end up with all the good things , introduce casino and sports betting , and end up all the benefits for anyone who take it seriously , so i quit, at same time I used to trade on betfair like an hobby, and I quit when they introduce the premium charges , now I just trade on betdaq and matchbook , hopefully will have another option on smarkets …the way I think is , I wont let people or companies taking advantage of me , so as betfair or pokerstars , they have a big pool of players, and people cannot see they are ripping them off ,and they wont make a move just because people are lazy and dont think in the long term. If everyone think about it , is like taking a bet at 1.90 when u can take in another site at 1.95 but u are lazy to open another link. now multiply by 500x. I know u Caan are not a big fan of betfair but u still use it, by lack of liquidity so u are still part of the problem. So I do think if u did not use it at all and u could pass this to a bigger audience, u could have better results. think in the long term and stop giving money to betfair. Think Smarkets really need to provide customers with HIGH levels of protection for customer funds as there is no way I or any other prospective customer would deposit significant sums of money to an organisation with ZERO protection of funds. The next issue to be sorted out is the range of markets which is clearly lacking at present. Sort out the two issues above and liquidity may start to flow as I and many others are sick of Betfair but have no viable alternative. Ladbrokes have done nothing with Betdaq since the takeover and I would expect the new buyer of Ladbrokes/Betdaq (GVC) to either develop the Betting Exchange or close it by the end of next year. I think the scandalous mismanagement by Paddy Power towards the Betfair Betting Exchange will eventually result in the Betfair Exchange Monopoly coming to an end. Simply cannot see people moving to the other current Exchanges Betdaq or Smarkets without significant improvements and would not be surprised to find a brand new Exchange business appearing as both continue to fail to meet the needs of Exchange Customers. Excellent review of smarkets here Caan. I have used both Betfair and Betdaq exchanges in the past although don’t like aspects of both. BetFair is turning into a casino more every day and Betdaq seem to be messing about on twitter with no real aim. Hopefully smarkets will tip the scales and give us a better option with their low commission. Thanks Graeme. Not looked at Betdaq in fairness. I think Betfair has become too chaotic in the main. I just want a means to plug in a daily trade plan and then wait on set ups if any occur. Im not interested in racing, tennis or anything else so a customisable platform would be perfect my end. Trading is an art and will always be but it needs correct facilitating. Thanks. Liquidity is still the main problem with Smarkets as we move in June 2018, its 2% is appealing but sometimes you find your trades stuck due to low liquidity in a lot of sports though Smarkets are adding all the time. Believe it or not the main problem I have with Smarkets is the colour scheme if I have used Betfair before hand I really have to study before using its interface. Been using smarkets to matched bet for years, used to be 50/50 between betfair and smarkets, been 99% smarkets for a long time now. The site is constantly improving and they’re currently offering 0% commission until December. I’m just starting to trade so would love some software that connected to smarkets! Sure, but have you seen the recent stuff about them trading their own exchange? My opinions changed a little, not sure I would want to trade against someone that can see my hand. Smarkets are opening a Sportsbook in the near future, according to one of the employees on chat, that might help liquidity but could also be negative in other respects. When Betfair went down this week smarkets liquidity disappeared… which shows a lot of these other exchanges are dumping liquidity across platforms. Im guessing the API development funds were redirected in favour of the Sportsbook? Released this week. Hopefully the dev work will start again soon mid 2019 release? Who knows, disappointing that it hasn’t happened though. First) allow people from countries that are not allowed to bet/trade to register. Via VPN or not. I think the main problem with this outlook is they are all looking to make money, not necessarily share profits. I agree though; if the goal was to challenge for pole position.